The Chinese brand Oppo seems determined to make the best of India’s growing needs in the mobile phone industry. 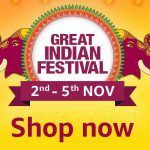 After the latest price cut for its budget handsets, the brand has now announced a permanent price cut of INR 2,000 each for its mid-range bestsellers Oppo F9 and Oppo F9 Pro. Given that the Oppo F9 received a price cut just a couple of months ago, the new price of the device makes it compete with a completely different set of smartphones. 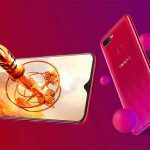 In this post, read how, according to their new prices, the Oppo F9 and Oppo F9 Pro are great alternatives to popular competing smartphones. The Oppo F9 Pro (64GB) was launched in August at a price of INR 23,990, but is now available for just INR 21,990, after the new price cut of INR 2,000. 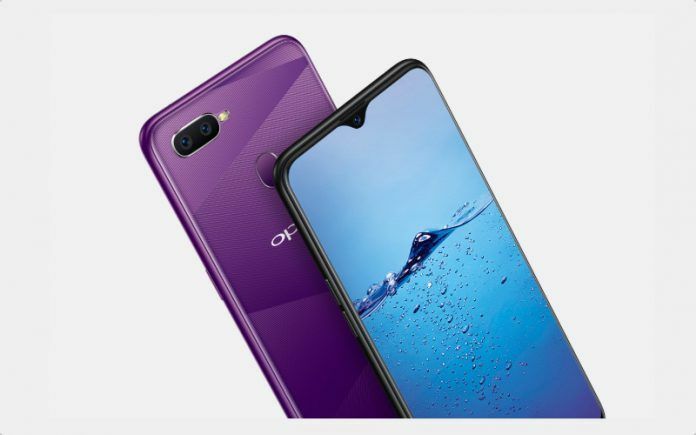 The 128GB model of the Oppo F9 Pro, which was launched last month at INR 25,990, is now priced at INR 23,990. Gadgets360 reported that the price cuts given by Oppo are permanent, although they come in the guise of a Christmas special offer. The Oppo F9 was launched alongside the Pro model, at INR 19,990, but it received a price cut of INR 1,000 in October. After the new price cut of INR 2,000, the Oppo F9 is now available for INR 16,990. The cost of Oppo F9 has shifted from more of a mid-range pricing to that of budget pricing. You can buy the budget hero Realme 2 Pro with 6GB of RAM and 64GB of storage for INR 15,990, and with 8GB of RAM and 128GB of storage for INR 17,990. The Oppo F9, meanwhile, costs INR 16,990 and comes with 4GB of RAM and 64GB of storage. Since there are no other configurations for this phone, it loses out to the Realme 2 Pro for all the buyers whose priority is a good RAM in under INR 20,000. Then there is the Honor Play (review), which, with 4GB of RAM and 64GB of storage costs just INR 15,999. As you can see, price wise, these two mid-rangers have an edge over the Oppo F9. All three phones in this comparison come with 6.3-inch LCD displays, but you don’t get a waterdrop notch in the Honor Play. Looks wise, we’d say the Oppo F9 looks best, but the Honor Play is powered by the HiSilicon Kirin 970, which is an outgoing flagship chipset. The mid-range processors powering Oppo F9 and Realme 2 Pro, i.e. MediaTek Helio P60 and Qualcomm Snapdragon 660 respectively, are no match for Honor Play’s engine. In the camera department, you get the same deal with all three phones — a 16MP front camera and a 16MP+2MP dual rear camera. What the Oppo F9 misses out on, however, is 4K video recording support, something both the phones in competition offer. In the battery department, it is the Honor Play that wins again, with a larger 3750mAh battery and 18W fast charging, as well as Type-C reversible USB. The Oppo F9 and Realme 2 Pro make do with microUSB 2.0, regular charging and 3500mAh batteries. This is no rocket science — in under INR 20,000, there is no phone that offers more bang for your buck than the Honor Play. However, if you don’t like the way it looks, the attractive Oppo F9 is a decent runner-up. 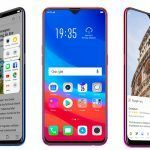 The Oppo F9 Pro, now costing INR 21,990, has to compete with the new Huawei Nova 3i, which costs INR 20,990. The Nova 3i gets 4GB of RAM and 128GB of storage, and comes in one variant only. The Oppo F9 Pro has a more balanced configuration of 6GB of RAM and 64GB of storage, and you can buy another variant with the same RAM but 128GB of storage. However, that model costs INR 23,990, so it is unlikely to be considered by those looking to buy the Huawei Nova 3i (review). What is a good alternative to these two phones is the Samsung Galaxy A7 (2018), in its standard variant with 4GB of RAM and 64GB of storage, costing INR 21,990. The Samsung Galaxy A7 (2018) is way ahead in the game, but not in all aspects. 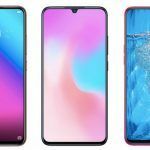 The device gets an AMOLED display while the Oppo F9 Pro and Huawei Nova 3i have LCD displays, but their displays are larger at 6.3 inches, and with their notches, they both offer much better screen space than the Galaxy A7 (2018). The Samsung device has a full bezel on top, and a smaller 6-inch display. Performance wise, all three of these phones offer decent enough mid-range performance. The Oppo F9 Pro is powered by MediaTek Helio P60, the Huawei Nova 3i gets HiSilicon Kirin 710, and the Galaxy A7 (2018) uses Exynos 7885. In benchmark scores, the Kirin 710 outdoes the other two chipsets easily, while the other two return almost similar scores. In comparison, then, the Huawei Nova 3i will be a better performer, but it is not like the other two phones are dull. In the camera department, the Oppo F9 Pro and Huawei Nova 3i do well for their cost, with 16MP+2MP dual rear cameras. The front camera of the Oppo F9 Pro is a 25MP unit with a wide angle lens, while the Nova 3i gets a 24MP+2MP dual front camera. However, the Samsung Galaxy A7 (2018) has its USP in the triple rear camera it offers, which is a segment first. The selfie unit on this device is 24MP with a wide angle lens, but the rear camera has an interesting setup, with a primary 24MP wide angle sensor, an 8MP 18mm ultra-wide angle sensor, and a 5MP depth sensor. For camera buffs then, the Samsung device is a clear winner. However, the Galaxy A7 (2018) loses out in the battery aspect, with a 3300mAh battery that does not get any special treatment for fast charging. The Huawei Nova 3i has a 3340mAh battery with 10W fast charging, but the Oppo F9 Pro is a beast here, with its larger 3500mAh battery that gets 20W VOOC charging. If battery is important to you, the Oppo device delivers and you can forget about its competition.